If you want to buy someone a gift, but you’re having trouble figuring out what to get for them, a Lekker Bikes gift card can be a great solution. 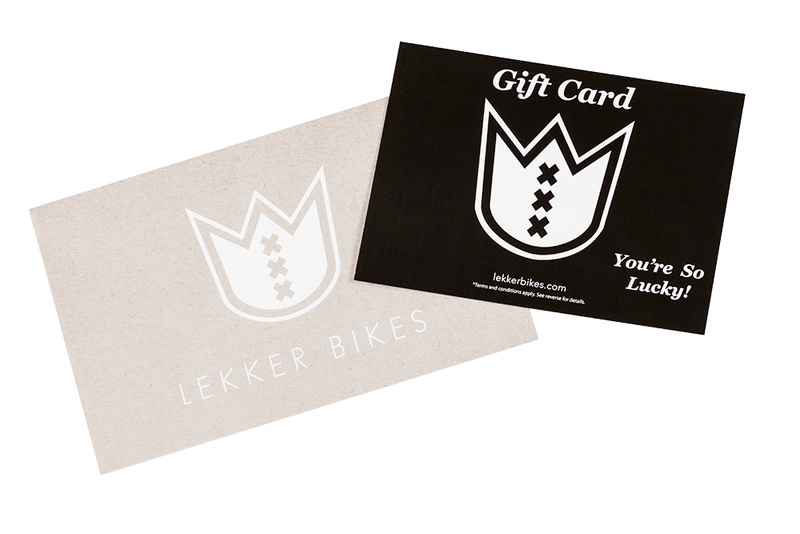 The Lekker Bikes gift card canbe used toward any product available in the Lekker Range. Not sure about color, speeds or size? The gift card is a great solution. Bikes are also in general a large purchase, so give your share towards a brand new bike in the form of a gift card, to help them in getting their dream bicycle!